Samsung phones have been among the most popular because they are very capable devices with handy features built in. There’s S Health, S Note, S Voice, and so much more. However, even if you don’t have a Samsung phone, you can still get the same features that those apps provide. Also, these alternatives are a good way to avoid the Samsung-provided apps if you don’t like them. There are a few apps you can use to replace S Health. Google Fit can help you track your fitness goals Google Fit Review: Will This App Make You Healthier? Google Fit Review: Will This App Make You Healthier? Google's entry into the smartphone health craze is here: Google Fit. Let's take a look at what makes it unique and how it stacks up against the competition. Read More and record your progress just by carrying your phone with you while you walk, run, or bike. MyFitnessPal can help with counting calories MyFitnessPal Calorie Counter - The Best Weight Loss App On The iPhone MyFitnessPal Calorie Counter - The Best Weight Loss App On The iPhone Everyone knows that losing weight is difficult. It requires a certain level of commitment that not everyone is prepared for. However, when you meet those weight loss goals, it is one of the most satisfying... Read More and making sure that you’re eating just the right amount. Finally, to get your approximate heart rate, you can use an app like Instant Heart Rate, which uses your phone’s camera and flash to track color changes in your finger that are used to get a rough estimate of your heart rate. In other words, you can use it without your phone actually having heart rate-monitoring hardware. S Note is a great application for taking handwritten notes, especially with the S Pen on Galaxy Note phones. However, Evernote has the capability for you to make handwritten notes as well (and plenty of other uses Get Creative With Evernote: 10 Unique Uses You Haven't Thought Of Get Creative With Evernote: 10 Unique Uses You Haven't Thought Of Evernote is one of the ultimate tools in productivity, and with a wide variety of multiplatform apps, there's no limit to the way that you can use the service. We're big fans of Evernote here... Read More ), so there’s little need to have to use S Note. If you don’t have a Galaxy Note phone, you can also just buy a stylus or a pen/stylus all-in-one for cheap. Evernote is by far the best solution because S Note has the option to synchronize handwritten notes to Evernote; it’d be easier to just use Evernote from the beginning since it includes all of your notes, no matter what type they are. S Voice can be replaced by Google Now, which varies in effectiveness based on how many of Google’s services you use. If you’re just doing random Web searches, then Google Now is great for everyone, but if you need it to make appointments in your calendar for you, it might be best if you’re already using Google Calendars. You can do all sorts of things with the voice controls OK, Google: 20 Useful Things You Can Say to Your Android Phone OK, Google: 20 Useful Things You Can Say to Your Android Phone Google Assistant can help you get a lot done on your phone. Here are a whole bunch of basic but useful OK Google commands to try. Read More of Google Now, and it really is changing the way people search 6 Google Now Features That Will Change How You Search 6 Google Now Features That Will Change How You Search You may already be using Google Now on your Android device, but are you getting all that you can out of it? Knowing about these small features can make a big difference. Read More . It can even remind you where you parked Google Now Knows Where You Parked, Gets Offline Cards, And More Google Now Knows Where You Parked, Gets Offline Cards, And More The Android Google Search app has been updated, and tucked inside it are some pretty awesome tweaks to Google Now that add quite a bit of usefulness to Google's personal assistant. Read More . It’s a very solid alternative. Touchwiz, the default launcher and user interface Android Skins Explained: How Do Hardware Makers Change Stock Android? 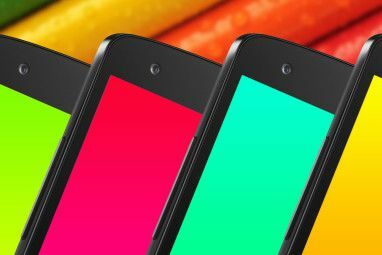 Android Skins Explained: How Do Hardware Makers Change Stock Android? Hardware makers like to take Android and morph it into something that is entirely their own, but is this a good or a bad thing? Take a look and compare these different Android skins. Read More that comes with Samsung phones, has certainly gotten better in recent years, and there’s hope that it might actually be awesome (gasp!) as the Lollipop updates start rolling out. However, for the time being, I still can’t recommend it. In fact, any other launcher will be great, with my two top picks being Buzz Launcher and the Google Now Launcher. Buzz Launcher is highly customizable and lets you make your phone truly yours The Amazing Buzz Launcher: Over 60,000 Home Screens For You To Try The Amazing Buzz Launcher: Over 60,000 Home Screens For You To Try I've explored lots of powerful Android launchers in the past but Buzz Launcher is the first one to truly blow me away with its delicate balance of flexibility and ease of use. Buzz Launcher is... Read More , while the Google Now Launcher makes using Google Now easy and keeps the rest of the experience simple and intuitive. However, there are certainly plenty of launchers to choose Which Android Launcher Should You Use? We Compare the Best! Which Android Launcher Should You Use? We Compare the Best! These awesome launchers will have your Android device feeling brand new. 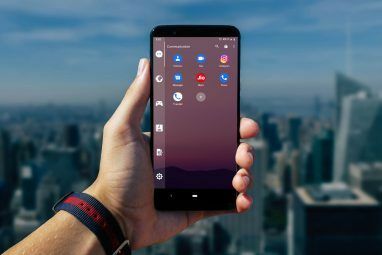 Read More from, including some super simple ones 3 Best Simple Android Launchers for Your Parents or Grandparents 3 Best Simple Android Launchers for Your Parents or Grandparents One of your parents or grandparents has just gotten a new Android phone -- and it's just so confusing. The best way you can help them is to download an extremely simple launcher. Read More . Samsung phones come with the Hancom Office suite, which is alright enough for viewing office files. However, there are plenty of excellent options you can install on both Samsung and non-Samsung phones, such as Google Drive, Microsoft Office, and Polaris Office. With all of these options, you will still be able to work on documents, spreadsheets, and presentations. If you’re not sure which one to pick, just install all three and then uninstall the ones you end up not liking or not using, or check out some of our comparisons Microsoft Office For Android vs. Google Docs: Which Is Better? Microsoft Office For Android vs. Google Docs: Which Is Better? Read More . Samsung devices come with another app store, the GALAXY App Store. While you can’t get it on other phones, there is still another app store you can add to your device if you’d like more than just the Google Play Store: the Amazon Appstore. While I personally don’t like other app stores because they cause fragmentation, I won’t tell others that they shouldn’t add them to their phones. And if you do add another app store, you might as well add the one from Amazon. While it’s not as great as the Google Play Store Google Play vs. Amazon Appstore: Which Is Better? Google Play vs. Amazon Appstore: Which Is Better? The Google Play Store isn't your only option when it comes to downloading apps -- should you give the Amazon Appstore a try? Read More , it’s still a pretty nice addition to gain easy access to some extra apps. 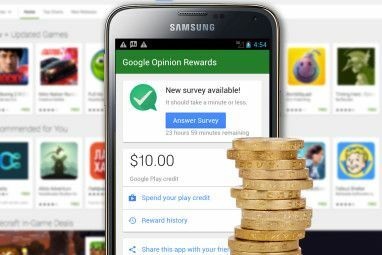 They often have great deals on free or cheap apps too How To Get Paid Android Apps For Free, Legally How To Get Paid Android Apps For Free, Legally Are there paid apps in the Play Store that you want, but just can't afford? Don't worry. It's possible to snag those apps for free. Read More . Which Samsung Apps and Features Do You Want? With these apps, you’ll get the same popular features that come with Samsung phones. If you have a Samsung phone and don’t like the Samsung apps that come with it, these are great alternatives that provide the same functionality. Best of all, they’re easy to get and work on any phone running a recent version of Android. What’s your most loved or hated feature of Samsung phones? Let us know in the comments! Explore more about: Android Launcher, Google Apps. I dislike any pre-installed app that you cannot delete such as UpDay especially when no app is visible. I thought at 1st this article would be useful, when Google search directed me here, but all the opposite. I was looking for how to remove bloatware Samsung factory-installed app and replace it with some other app I prefer. For example uninstalling default video player and use VLC instead. And of course how to install it as system app, so it works trough out Android OS like default one does. I want galaxy note alternative - floating bubble that works like note's pie chart (when spec is pulled out) - that bubble need to have option to take screenshot, create handwriting note etc. How do you mean that by you adding another AppStore, that it causes fragmentation. Is it that it'd take longer for to get an Update ie OS or what? Any new Android games that you can suggest? 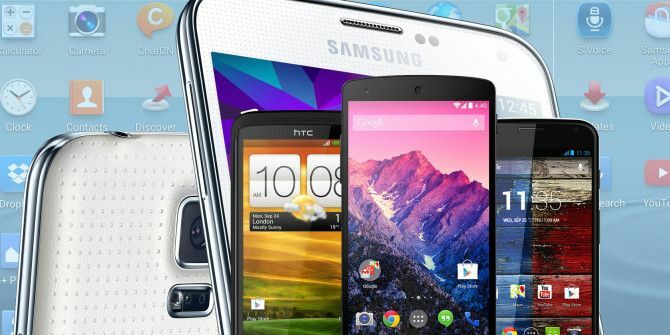 The article refers to Samsung phones but does it apply to Samsung [Galaxy 4] tablets as well? I see the term "root" all the time. What, exactly, is it in non-tech terms? You can basically Install another operating system other than the one you're given. Rooting your Android device means same as having administrative privileges on your computer. You can access to files and settings, you otherwise can't. What stylus does anyone recommend for users leaving the Note series for other phones? Most of the ones I've tried are tipped too softly and don't feel well against the screen. That and they're generally too wide-headed. How you disable the apps? "1. Aptoide store - every paid app for free"
You're referring to the fact that these Aptoide apps are the same ones you see on Google Play, but they've been "nulled" or "cracked" by someone. Am I correct in assuming this? I'm not here to judge at all, I just wanted to make sure this was what you were alluding to. And just out of curiosity, have you had any problems w/ any of these apps containing viruses or malware? I've heard this is often the risk w/ nulled apps. Thanks! I like the "Kids mode" is great as a parent because you can restrict which application your kids have access to. The kids mode apps are also nice and keep a toddler entertained for a while (if you don't have kids, trust me you would really appreciate this if you had). Also, does the multi-window, quick access bar and toolbox part of touchwiz? If so, then you can't replace them with a standard launcher. At least for tablets, these are pretty useful features I find. as for the app store, I second the Amazon store. I love your recommendations. How do I set GoogleNow to be the default voice action when I double-press the home button and banish S-Voice to the bit bucket? My most hated thing about Samsung phones is that they are artificially overpriced to 600 quid to match Apple. Go and look at Xiaomi, Motorola or Asus and see how much phone you can buy for 200 quid or less. Why? Because they are selling them by the hundred million in India and China where there is zero possibility of selling a 600 quid phone. Plus you get near stock Android with very little fancy skinning. You could even spend 50 quid on paid for apps and still be in pocket. Hint, look up who makes Nexus for Google. I really enjoy sidesync and screen mirroring whenever I want my phone on the computer or television for viewing. the only features that Samsung really has that I've gotten used to and find it hard to go without is smart-stay, the s-pen, and multi-window. Those three things are really what sets Samsung apart for me. I've had an S3 and now have a Note 3, and those three functions are the only ones I've kept turned on and/or used the most. I do miss the double twist instant camera turn on from my Droid Maxx though, and the strong battery life, although swapping out batteries on the Note 3 almost makes up for it. Thanks for the Evernote handwriting tip. I have SGN3 and I use its original phone cover which is pretty neat to open from it the S note, camera, and your music without the need of opening your phone. S note has little space to write on but Evernote has bigger space and you can actually add more space and later it would save all pages in one page. That is awesome! S note can have small space but it is cool too. I used it mostly to write people names and their phone number. When I have time later on , I open the S note , highlight the name and the number and choose to save it on my contact list. The only Sammy "app" I want is its keyboard. The Vietnamese keyboard supports swype better than Swype itself (which uses an outdated codepage) and SwiftKey (which only shows 3 choices for a language with 6 tones...). Aside from the Google Play store & Amazon market, I like the MoboMarket app. They have almost as many apps as Google, but the best part is the ability to select and download any of the previous versions as well. This enables you to back off to any version instead of removing all the updates. That’s a good option to have available, in case you get a buggy upgrade. yea.....im in the same boat....i got the s3....well, actually i dont dislike any of the apps.....i just dont like how samsung has their own app store seperate from google play.....it's stupid. i mean.....it could be worse......i had the HTC Wildfire S and that thing was hell......HTC Sense sounded so cool on the box......but wow......hella bloat-ware! My Uncle Anthony just got Honda Odyssey Minivan by part time working online from home..
Are you a loser like he is? "Which Samsung Apps and Features Do You Want?" Well.. actually none. Their pre-installed apps are the first thing I try to disable in a new phone. Hildegerd, disabling them will generally require root access for most (not all) preinstalled Samsung apps. If you are interested in rooting your device, I would suggest looking up guides on it for your specific device. (XDA-Developers is a good place to start). Once you have rooted your device, you can use an app such as "Titanium Backup" to Freeze (disable) or completely uninstall the app. That's not the absolute truth. You don't need root access at all to disable apps, uninstalling and removing them is another story. Most of apps can be disabled via Settings->App manager and there's app in Google Play Store that's free to download and install. Just search for Package disabler. It doesn't not need root permissions.